ABHIJATA IYENGAR is the grand-daughter of Yogacharya B.K.S Iyengar. She started seriously studying yoga at the age of 16 under the direct guidance of Guruji, her aunt, Dr. Geeta S. Iyengar and her uncle, Prashant S. Iyengar. She has a Master’s degree in Bioinformatics from University of Pune. She is now a Senior Teacher at the Ramamani Iyengar Memorial Yoga Institute (RIMYI), – the cradle of Iyengar yoga – located in Pune, India. Abhijata travelled with Guruji to Russia and China. She has accompanied Geetaji to International Yoga Conventions in the UK, Australia, Germany and the United States. She has also led yoga conventions in the United States, France, Spain, Italy, Switzerland, Poland, the UK and Israel. 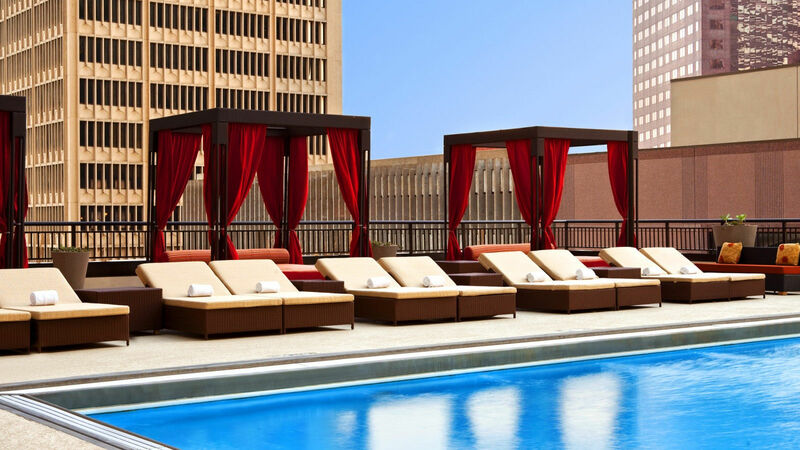 Support the 2019 Convention with Abhijata by booking your room at the Sheraton Downtown Dallas and take advantage of the discounted rate. Why stay at the Sheraton? LOCATION LOCATION LOCATION (400 North Olive Street, Dallas, TX 75201) . Great easy access from DFW Airport on Dallas Area Rapid Transit (DART) approximately $2.50. Walking distance of the hotel are parks, restaurants, and museums. Convenient access to local shopping and Whole Foods Market via the free trolley. Like all large hotels daily parking is expensive SO DON’T DRIVE – STAY ON SITE! The T-shirts, mats and posters are no longer available to purchase via the convention website. They will be available for sale at the IYNAUS store in the Market Place during the convention. The Market Place will be open beginning on Friday the 12th from 6:30am – 8:30am followed by the Grand Opening of the Market Place at 5:00pm on Friday evening. Support the convention by downloading and displaying the poster.